Who is Your Source: God or Yourself? 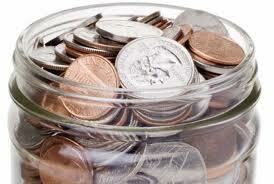 Recently I've felt that God has been calling me away from "religiously" accounting of my finances. For a long time I would religiously record every receipt, expenditure and form of income into an accounting software program. In reading the above verse I began to re-evaluate this practice. First of all, it was Satan who initiated the problem for David. That Satan started it automatically describes the problem as evil and not of God. So what was the problem with taking an account and numbering (census) Israel? I think that the issue here was that it led to pride and a spirit of self-sufficiency rather than upon a complete dependence upon God. Why did David need to know exactly how big his military was? Did he not believe that it was God who fought the battles for Israel? Remember Gideon who was about to go to war with 30,000 men and God reduced that number to a mere 300 men before the battle began (Judges 7: 1-8). Who is it who fights for us? Why did David need to know how many people lived in Israel if not that in doing so he could take pride in being the king over so large a nation? In the same way, why do most church institutions count and number the people who come out each Sunday if not to give pastors bragging rights about the size of "their church" and the effectiveness of "their ministries?" Likewise, why do we focus so much on personal accounting and record keeping if not because we believe that we are in control of our own financial destinies? We may not say it in so many words, but by our actions this seems to be the implications of what we are saying. Some will no doubt say that keeping good records is important because it shows that we are "good stewards." Yes, we do need to be good stewards of all that God blesses us with, but I think that accounting for every nickel is not what makes a good steward. Listening to God and following the leading of the Holy Spirit is what makes one a good steward. It is walking through life "as the wind blows (John 3:8), all the while knowing and trusting that God is in control of all things. That is essentially the problem. All forms of accounting and numbering, whether it's in the institutional church or in personal finances, is of the world and not of God. They all reveal our dependence upon our own strength and abilities rather than a complete and total dependence and trust on God's daily providence in everything (see Matthew 6: 19-34). 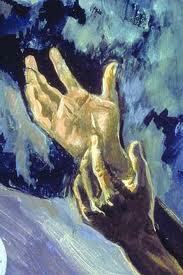 "Do not let your left hand know what your right hand is doing," said Jesus (Matthew 6:3). Again Jesus taught us, "Give us this day our daily bread" (Matthew 6:11), implying that we are to seek "daily" provisions from God rather than focussing on the long term. Remember the Israelites in the wilderness were told to gather only enough manna for one day and anyone who gathered more than they needed for that day found that the surplus had spoiled and become full of magots (Exodus 16: 20). The point I'm trying to make is that God calls us to not worry about tomorrow. Forget the accounting. Forget the storing up for tomorrow. Forget the leaning on our own understanding (Proverbs 3:5). Can we start to really trust 100% on the power and providence of God to take care of us in everything? We may not know what tomorrow holds, but as Christians we certainly ought to know who holds it. If this is truly how we feel and truly what we believe, then why is it that we act like we don't believe it through our efforts to account and number everything ourselves? Is that not the same as calling God a liar? Is that not the same as blatant unbelief? Is God really our source for everything in life, or does His providence depend upon our own efforts as implied by our habits (passions?) to account and number everything? I wonder. A Caveat: I know I am going to step on some toes with this one, and if yours happen to be those toes, I ask your forgiveness. I just know of no other way to say what's on my heart concerning this. Peace. In two different conversations recently the topic of Messianic Jews came up again. Something has long since bothered me about Messianic Jews, and another reading in Acts 15 once again brought up this concern. Acts 15 describes some believers who belonged to the "party of the Pharisees." They were essentially Messianic Jews. 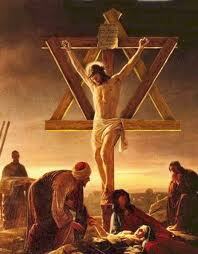 They were believers but they also practised Jewish religious rituals. Like the Messianic Jews, they saw no problem in combining faith in Christ with the Jewish religion. But was that OK? As we read further in that chapter, we see that the problem was taken to the apostles in Jerusalem for them to decide on. Peter said, "Why are you putting God to the test by placing a yoke on the neck of the disciples that neither our fathers nor we have been able to bear?" (Acts 15:10) Peter then says further, "Therefore it is my judgement that we should not trouble those of the Gentiles who turn to God, but should write to them to abstain from the things polluted by idols, and from sexual immorality and from what has been strangled, and from blood (Acts 15: 19-20)." Many an institutional church today has the same problem; they routinely teach this strange blend of Christianity with Jewish religious ritual. For example, tithing and other Jewish laws are still taught from the pulpit. Why? Unlike other nations, there is this bizarre fascination with Israel, that is, the physical Israel. In the process there is also an adoption of many Jewish religious rituals. I have actually heard it suggested by one person that such religious adoptions are a form of witchcraft (ouch). I know that sounds harsh, but could it be true? Is the blending of different religions essentially a form of witchcraft? Paul writes further, "You observe [particular] days and months and seasons and years! I am alarmed [about you], lest I have labored among and over you to no purpose and in vain" (Galatians 4: 10-11; Amplified). Please understand, I have nothing against people from any race or nation or creed (including Israel); God helping me, I do strive to love them all equally, just as God loves us all equally. I really do. All I am wondering is, why do we have to add all this other stuff to the Gospel? Why does the Gospel need so much baggage? We are no longer under the Law (that is, the Jewish religious law). Many who seem to promote the law in their form of Christianity seem to have also quoted Jesus' words in Matthew 5:17-20 in error. They quote Him as saying, "not an iota, not a dot, will pass from the law" (vs.18) and in so quoting that Scripture, they find justification for the continued use of the Jewish Law. But they need to read further before coming to that conclusion. Jesus is the fulfillment of the Law. He said that the Law would not pass away UNTIL all is accomplished. When was all accomplished? On the cross when Jesus said, "it is finished" (John 19:30). After that, it was all accomplished. After that, the age of grace took over. After that, there was no longer any reason to practice Jewish religious rituals, like elements of the Law. As a matter of fact, to still actually practice those Jewish religious rituals as a Christian is actually going against Scripture and against the decision that Peter and the other apostles came to at the Jerusalem Council (Acts 15). So what about these Messianic Jews? God loves them and so do I. The interesting thing, though, is that they're not all Jews; many are Gentiles. Theologically speaking, they are certainly not orthodox Christians. They are a sect, and as I said earlier, may actually be bordering on a whole new religion unto themselves. The whole thing is not unlike what a missionary friend of mine to Haiti once told me. In Haiti he encountered a strange mix of Roman Catholicism with Voodoo, which also created a whole new religion unto itself. Is Christ not enough? That seems to be the question for Messianic Jews, and that seems to be the question for many of us who might not identify ourselves as Messianic Jews. Do we still feel that we must follow Jewish (or other) religious rituals alongside our Christian faith? Again, is Christ not enough? Hmm, I wonder.